The spread of ‘convergence’ across various sectors in the recent past has only intensified the need for partnerships and alliances in manufacturing industries. The rising global competition, and the resulting downsizing have only intensified the necessity for collaborative arrangements. Hamel, Doz & Prahalad have prescribed ‘Collaboration’ for improving a firm’s competitive profile since it strengthens both the companies against outsiders and creates value for them as ‘leader, rule setter, and capability builder’. Collaboration is indeed competition but in a different form. Collaborating parties enter into alliances with clear strategic objectives. They understand well how partners’ objectives will affect their success. Learning from partners is of paramount importance: they need to view each alliance as a window on their partners’ broad capabilities; use the alliance to build skills in areas outside the formal agreement and systematically diffuse new knowledge throughout their organization. Harmony is however not the most important measure of success: occasional conflict may be the best evidence of mutually beneficial collaboration; few alliances remain as win-win undertakings forever; a partner may be content even as it unknowingly surrenders core skills or it may pursue independent path once it builds up competency to sustain on its own in the market. Collaboration has got its own limitations: must be defended against competitive compromise; involves a constantly evolving bargain; must keep employees at all levels well informed about what skills and technologies are off-limits to the partner and monitor what the partner requests and receives. Collaboration is well suited for activities such as new product development; improving a product design for manufacturability using competencies within supply chain network; reducing time to market for new product introduction; reducing the manufacturing cycle time for designated partners; improving logistics costs across supply chain network, etc. 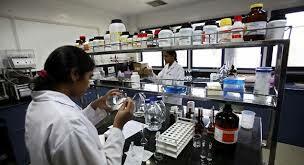 Pharmaceutical firms, where strict compliance with procedures issued by government agencies is a must, incur whopping costs for new product development besides agonizing wait of 10 to 15 years. Even after spending such huge money and time, hardly 3 out of 10 new products come out successfully through clinical trials. Thus, managing and improving time and capital involvement to develop and bring a new product on to the shelf is a critical constituent of pharmaceutical industry, and it is to overcome these hurdles ‘collaboration’ among the competing businesses comes quite handy. People – collaboration being a people-centric concept, its success essentially rests on the coming together of people of both the organizations to execute the drafted strategy. Finally, it is the trust—one party’s confidence in the other party—in the exchange relationship about willingness to fulfill the promises and commitments and importantly, unwillingness to exploit its vulnerabilities, which determine the success of collaboration. And this can only be ensured by a strong leadership at the collaborating organizations.